Tonga’s Queen Sālote (1900–65) contributed greatly to the preservation and creative use of the Tongan language. Queen Sālote was a celebrated writer of poetry and song. She composed over one hundred songs, lullabies, laments, and dances. Queen Sālote has a connection with New Zealand that began in 1909 when she was sent to school in Auckland where she stayed until she was 14. She visited New Zealand regularly throughout her life. 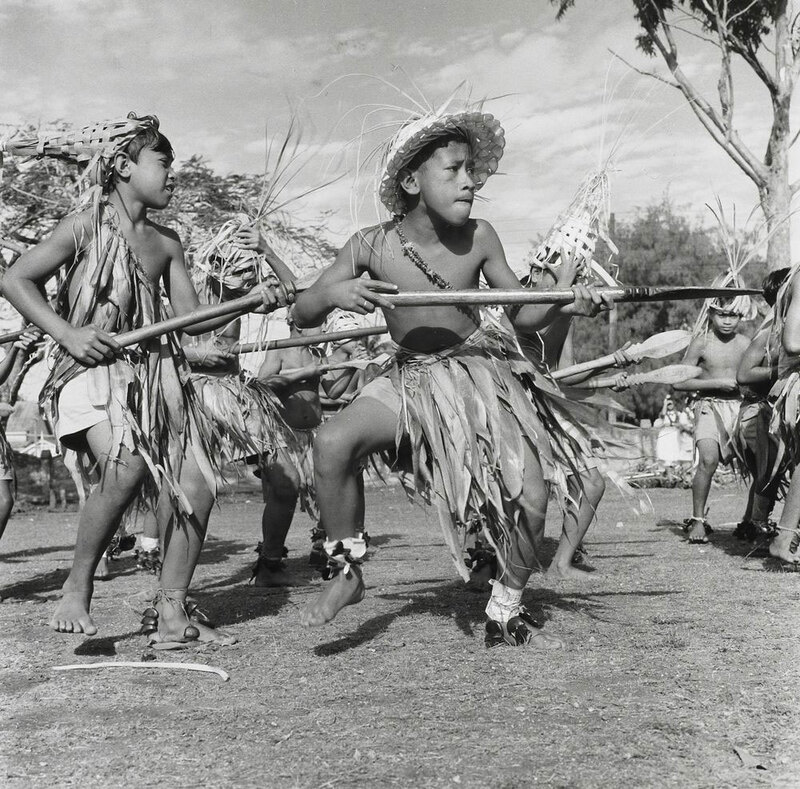 In 1952, the Tongan government bought an Auckland residence, ‘Atalanga. This became Queen Sālote’s home away from home and later included a hostel for Tongans studying in Auckland. Her visits were mostly private, but she was acknowledged by both government officials and Māori dignitaries. When Queen Sālote died in 1965, she was deeply mourned. She was a loved and respected monarch. Queen Sālote’s children and grandchildren continue to maintain close links with New Zealand, especially with the Māori monarchy, the Kïngitanga. Te Papa has several treasured items and images associated with Queen Sālote in the Pacific Cultures Collections. 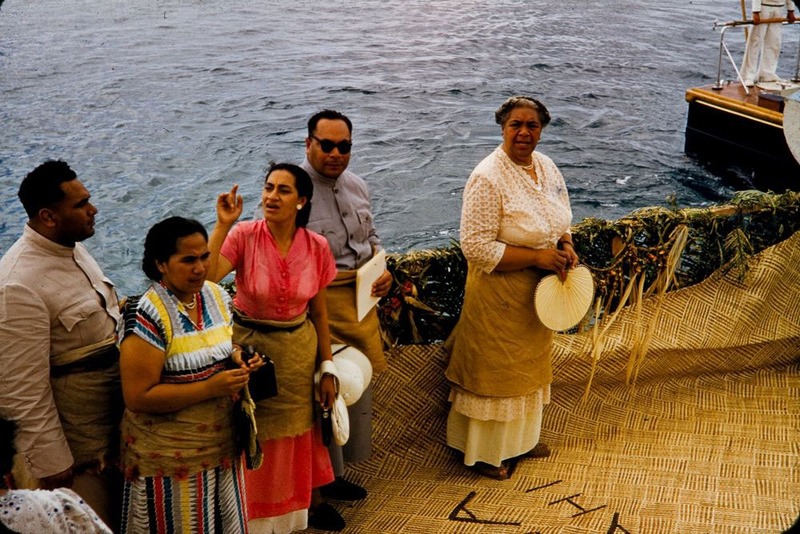 They include a kie (fine mat) once owned by Queen Sālote, photographs featuring her by renowned photographer Brian Brake, and a ngatu launima some 23 metres long that was placed beneath her coffin when her body was flown back to Tonga from New Zealand in 1965. This kie was formerly in the possession of Queen Sālote. She gave it to the Kronfeld family in Auckland to cover the coffin of Minna Kronfeld whom she had known as a girl. It passed to Minna’s brother, Dr Moe Kronfeld, who gave it to Te Papa. 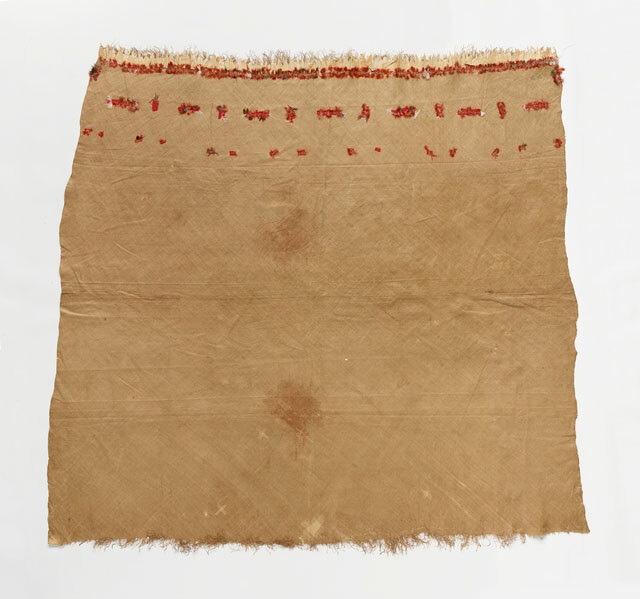 This rare fragment of tapa commemorates the war effort of Queen Sālote and the Tongan people who raised money for the British to buy Spitfire airplanes during the Second World War (1939-1945). The aircraft depicted was the first of three Spitfires donated to the British war effort by the Queen and people of Tonga. A total of 15,000 pounds was raised in Tonga for this purpose, the aircraft depicted on the tapa was the result of the first payment of 5,000 pounds in April 1941. This ngatu launima was associated with two queens. 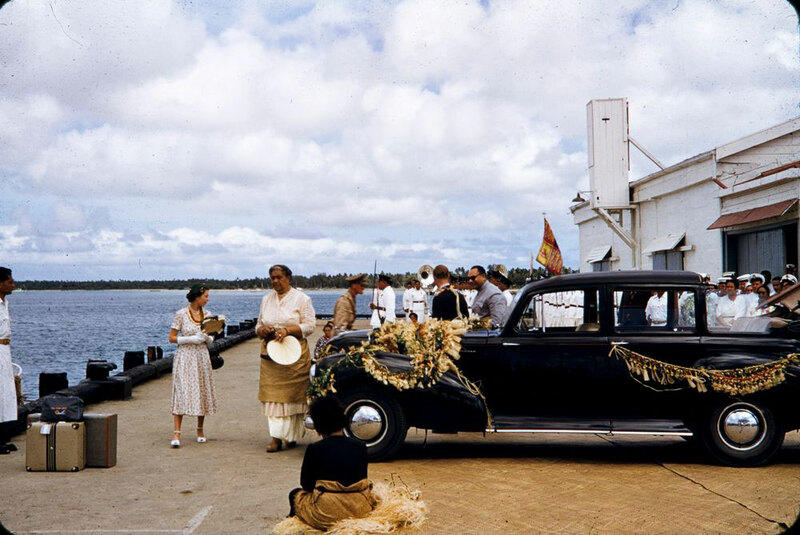 Made in 1953 to commemorate Queen Elizabeth II’s visit to Tonga, it was later placed under Queen Sālote’s coffin when her body was flown back from New Zealand in 1965. The tapa was given to the pilot of the plane Flight Lieutenant McAllister, and he in turn presented it to the Dominion Museum (Te Papa’s predecessor) in 1968. Click on the image to see the details. Thanks for your article, I was very interested by the Spitfire tapa. I’m trying to write an article about French Commander Leon Moron who came to the Tonga with the aviso “Rigault de Genouilly” about 12 of May 1937 and was received by Queen Salote. Leon Moron was a friend of my parents and he left them a tapa given by Queen Salote. I knew Commander Moron when I was 10 years old. I think he told me a story about going with Queen Salote to the top of a volcano to throw a roasted pig in the crater so there are no eruptions. Did these ceremonies exist or is it an invented memorie ? This is a beautiful tribute to the late Queen Sālote in celebration of Tongan Language Week. My heart-felt thanks to your team for mentioning my blog and sharing my blog post in reference to Queen Sālote. I am both humbled and honoured.